We made it into Monroe, Washington outside of Seattle for a place to stay. George found the Evergreens Fairground RV Park that was twenty-five dollars a night. And across the fairgrounds was a park and ride so we could use the metro system to go into Seattle. So very convenient all the way around. 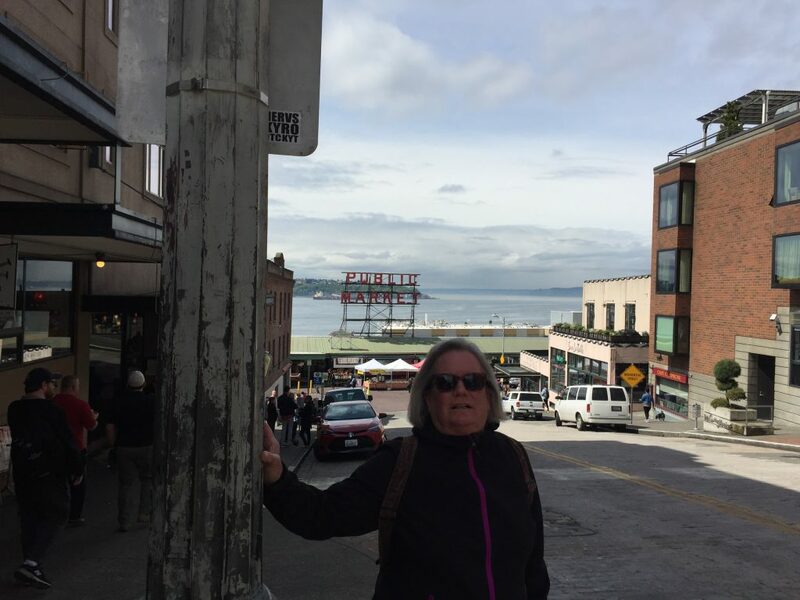 We took a bus from there to Everett and got on a double decker bus, and we sat on the upper deck. It was fun. 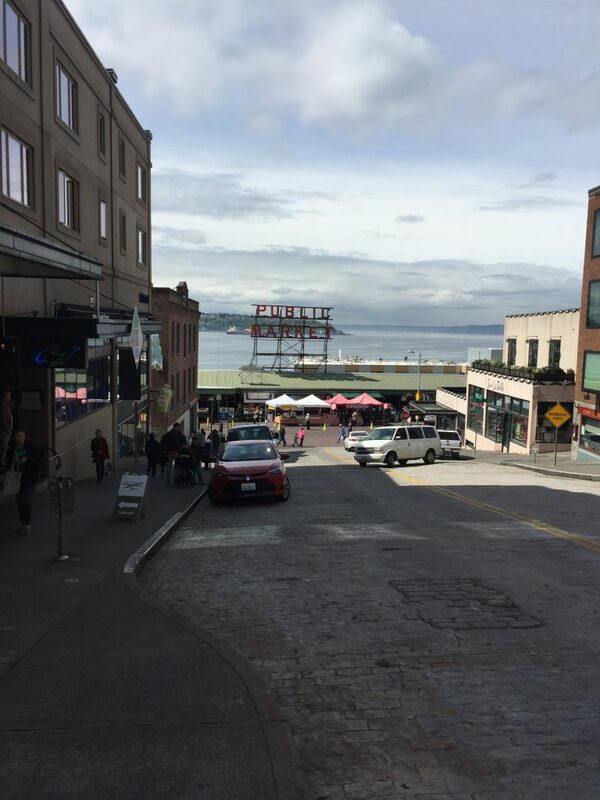 Got off at fifth and Pine and headed to the famous Public Fish Market. There were lots of shops and stands. A very overwhelming place. We then found the elevator that takes you to the tram that travels back and forth to the Space Needle. 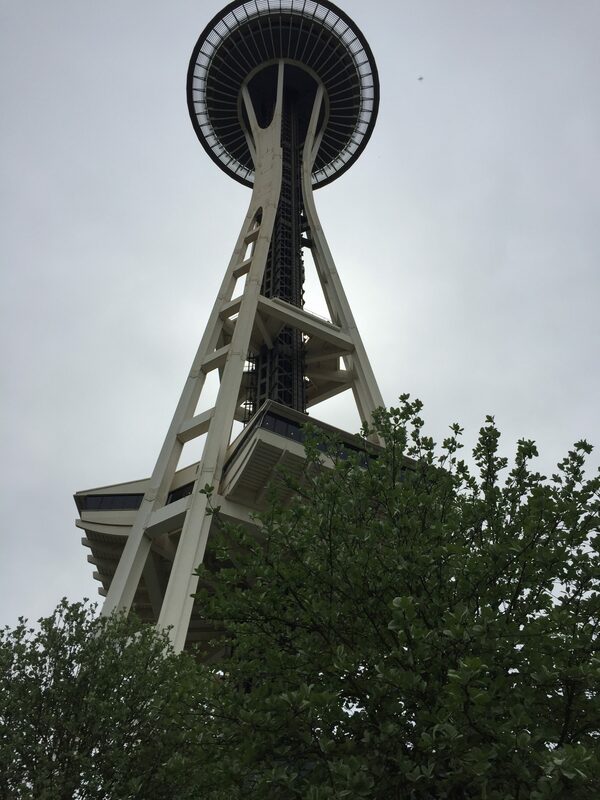 You can ride the up to the top of the needle. George went up to the top and really enjoyed the view. We then headed back to Monroe taking the 424 bus from downtown Seattle to the park in ride back at the fairgrounds. Cost for two people $22.00.